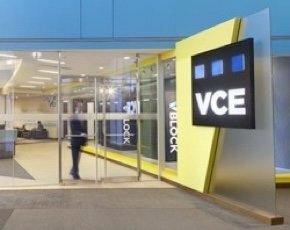 VCE has expanded its converged infrastructure portfolio with the launch of VxRack Systems, as part of its ongoing push to help users speed up the deployment of scale-out mobile and cloud applications. The systems allow users to start out with a handful of servers in a rack, which they can add to as their business needs increase, and support the growth of applications that need to be rapidly scaled up at short notice. The systems can be knitted together using VCE’s Vscale Architecture to enhance ability, allowing users to draw on the computing power of VxRacks in other locations. The EMC-owned converged infrastructure firm is initially planning to release two different VxRacks. The first of these, the 1032, will offer users a choice of hypervisors and will feature EMC ScaleIO software-defined storage and Cisco networking kit. It will be available to order in July 2015 and is expected to ship in the third quarter. The second, the 1034, will be available to order in the third quarter. It is designed for use in VMware environments and features the virtualisation giant’s hypervisor technology, along with its virtual SAN software. With EMC now taking control of VCE observers say the ownership shift could have a positive effect on partners. Storage giant EMC has reported a 9% increase of its newest datacentre for the third quarter of 2014. During the opening keynote at EMC World in Las Vegas, David Goulden, CEO of EMC's Information Infrastructure, said each system will be pre-engineered and pre-validated by VCE before it’s delivered, saving users time as there will be no need to assemble and configure the systems themselves. “One of the most fundamental ways to speed up the delivery of an enterprise hybrid cloud is to get users out of the components assembly business,” said Goulden. “We find the best way to implement an enterprise hybrid cloud is to use a foundation of converged infrastructure,” he said. The storage giant acquired a controlling interest in VCE in October 2014 after buying out Cisco’s stake in the joint venture. This had previously seen the pair – along with VMware – bring to market a series of private cloud-enabling, converged infrastructure systems called Vblocks. Speaking at the event, VCE CEO Praveen Akkiraju was keen to stress that the arrival of these “hyper-converged” VxRack systems would not be the end for its flagship Vblock technology. Both systems are designed to handle subtly different workloads, with VxRacks suited to “born-in-the-cloud applications” accessed via mobile devices, while Vblocks tend to underpin core enterprise applications written in older programming languages. With many companies using a mix of these application types there is a place for both converged infrastructure systems, according to Akkiraju. “Vblock is the market leader and continues to set the pace in the market,” said Akkiraju. “We are going to continue to invest and innovate on our Vblocks because this is our flagship platform,” he concluded.